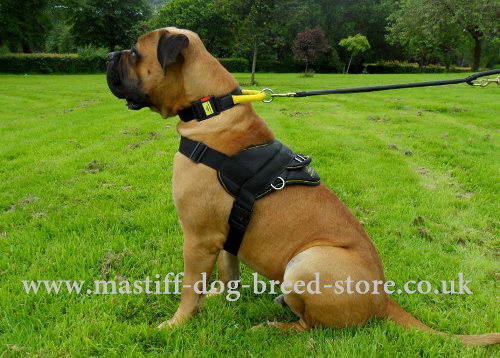 Get a strong nylon harness with handle to control your mastiff in walkign and training. Color: black. Sizes: XXS-XL. 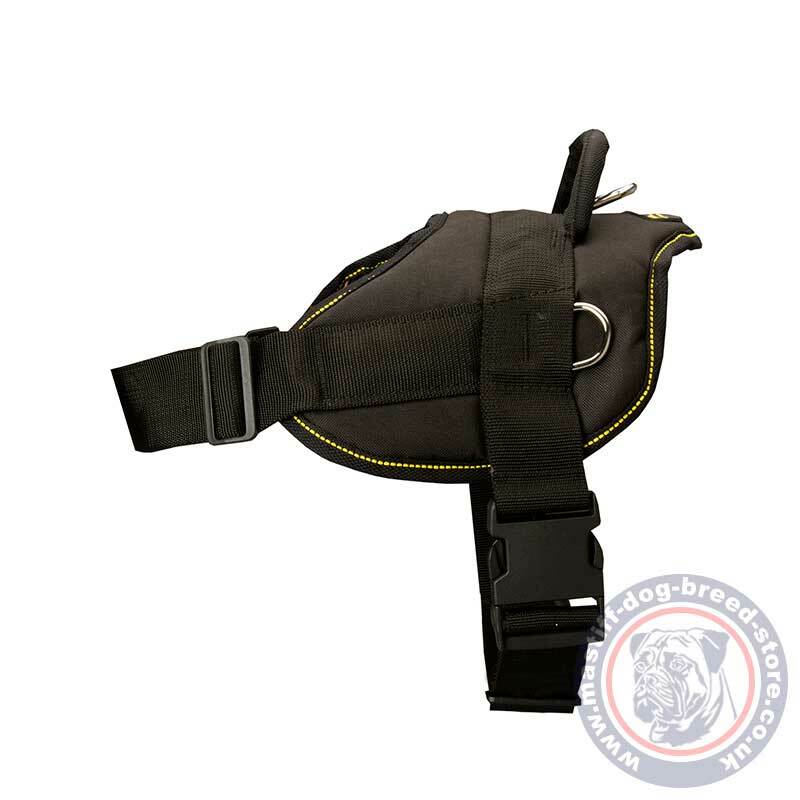 The main intention of this large dog harness is to provide a reliable control over your dog. 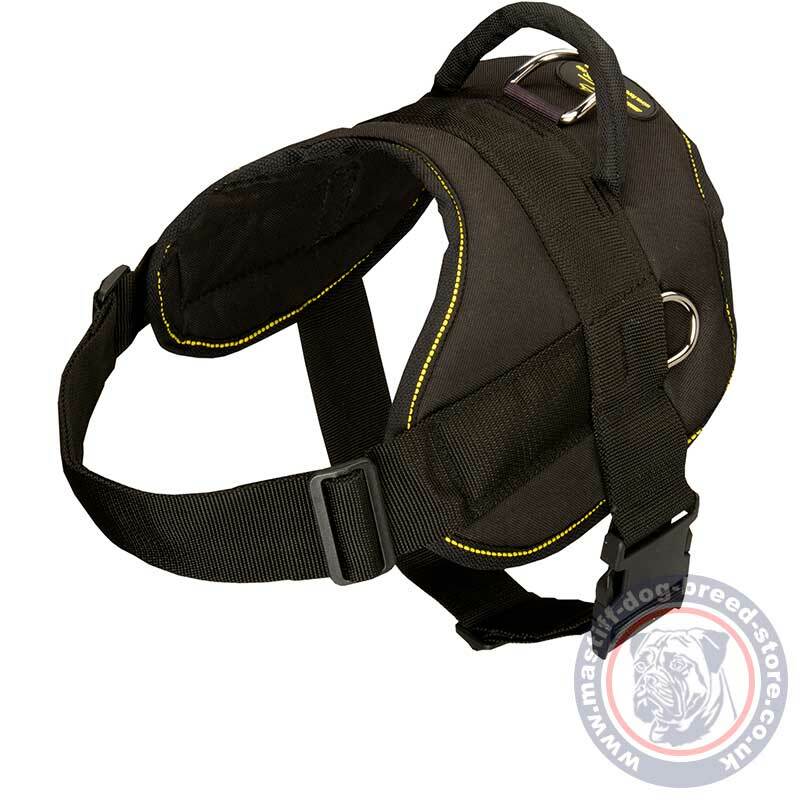 Design of this strong mastiff dog harness is invented by professional craftsmen and dog handlers. 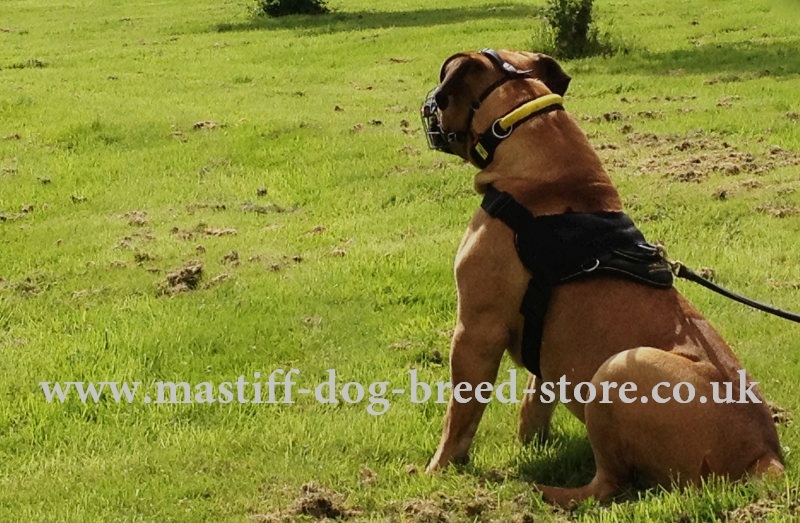 It makes this mastiff dog harness super comfortable and reliable for daily walking and training of your mastiff. To provide its main function, this big dog harness is made of an extremely durable nylon. This fabric does not strength and is difficult to tear and wear out. Nylon dog harness is a perfect choice for daily, active use. Nylon dog harness for Boerboel is light, breathable and waterproof. You will be able to use it on your dog in any weather and season. In summer your dog will freely run and swim without any discomfort. In rainy weather it does not lose its shape. Nylon dog harness is quickly and easily cleaned and dried. This large dog harness is a great help to control a giant Boerboel mastiff. We especially care of stitches and joints to produce really reliable dog gear for strong dogs. The best dog harness design is one of the favorite dog accessories of our customers. They admit easy adjustment of the harness size by buckles and a comfortable back handle to keep your dog close. Side D rings make it possible to use as sport dog harness for mastiff. Pulling weights may be adjusted to the side D rings to exercise the strength and muscles of your dog. Make your dog feel comfy under your reliable control.